These particular rolls may help to trace those who made the Northern Territory their home. During this period, the region was notorious for those looking to escape their responsibilities or to remain elusive to family. 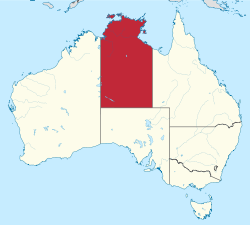 They cover Alice Springs, Anthony Lagoon, Arltunga, Barrow Creek, Borroloola, Burrundie, Charlotte Waters, Daly River Mission Station, Daly Waters, Eveleen, Fountain Head, Howley, Katherine, Maude Creek, Palmerston, Pine Creek, Powell Creek, Tennant's Creek, Union, Warnardo. The listings may also provide information on how long the individual had been in Australia (if coming from elsewhere).